Over the last 3 months, the Apparatus committee has been hard at work laying out a specification list for a new Engine Tanker. 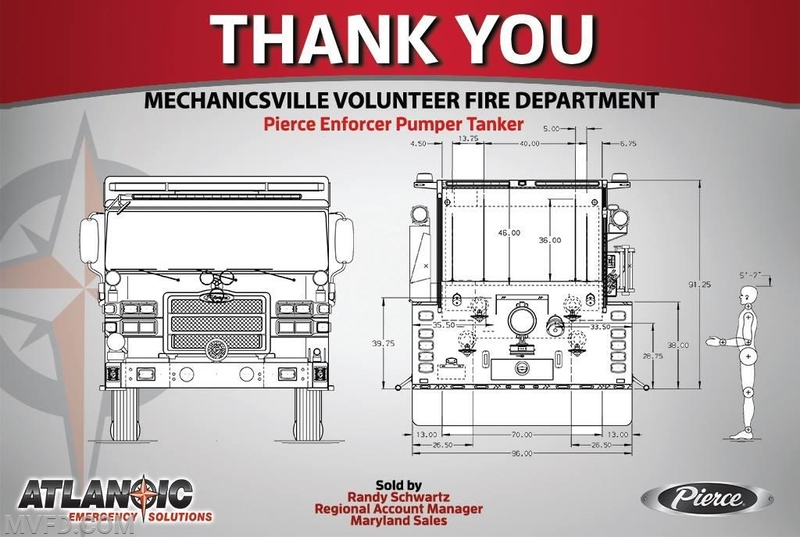 The committee worked diligently to design a piece of equipment that could operate as both an engine and a tanker as the unit will run as both regularly. 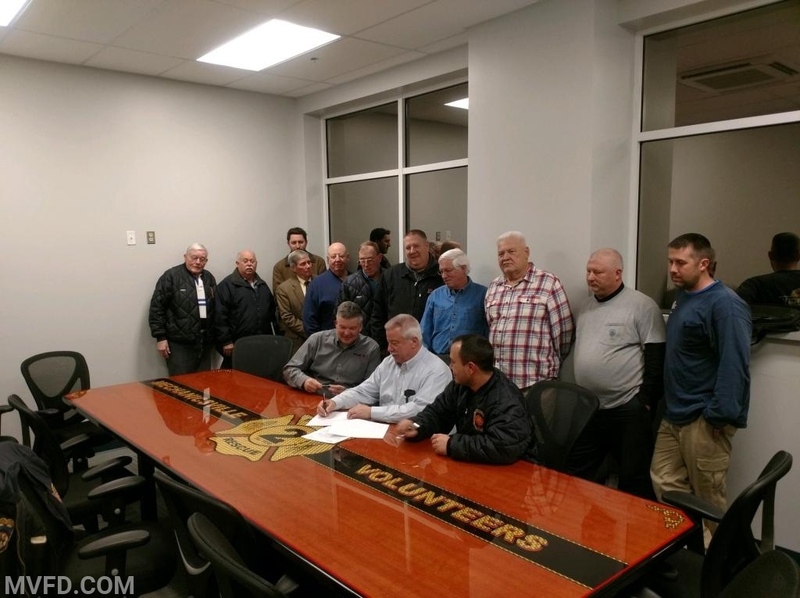 Our Apparatus Salesman Randy, President Montgomery, and Fire Chief Trowbridge signing the contract while the Board of Directors oversee. What Unit is This Rig going to Be? Congratulations! The Committee voted for “ENGINE 2 TANKER” on the mud flap. Also, the sides on the white reflective striping will be lettered “ENGINE TANKER 24”. The MD State tag will say E-024. The radio call sign in St. Mary’s County is TBD. 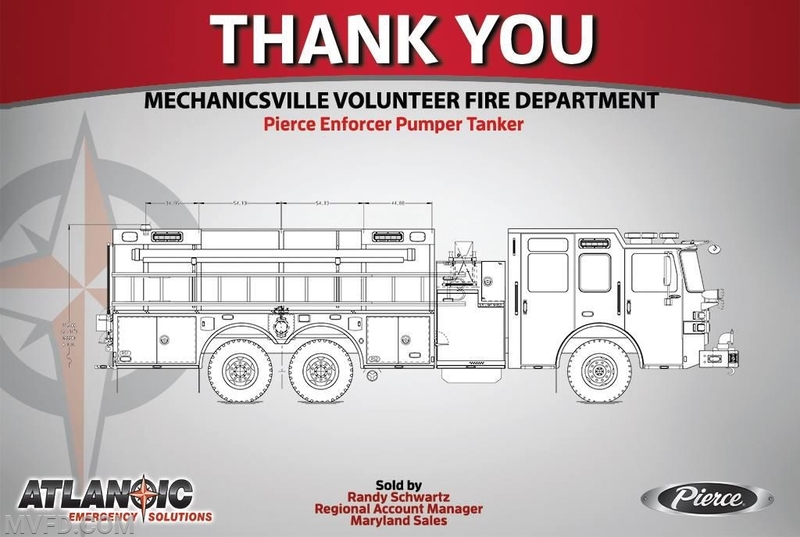 St. Mary’s County fire companies use inconsistent designators for engine-tankers such as Engine 14, Tanker 34 (aka Tanker 3), Engine 44, Engine 54, Engine 63, Tanker 74 and Engine 92. Our current Engine 24 marks up as “Engine 24” and occasionally “Tanker 24” in radio calls. 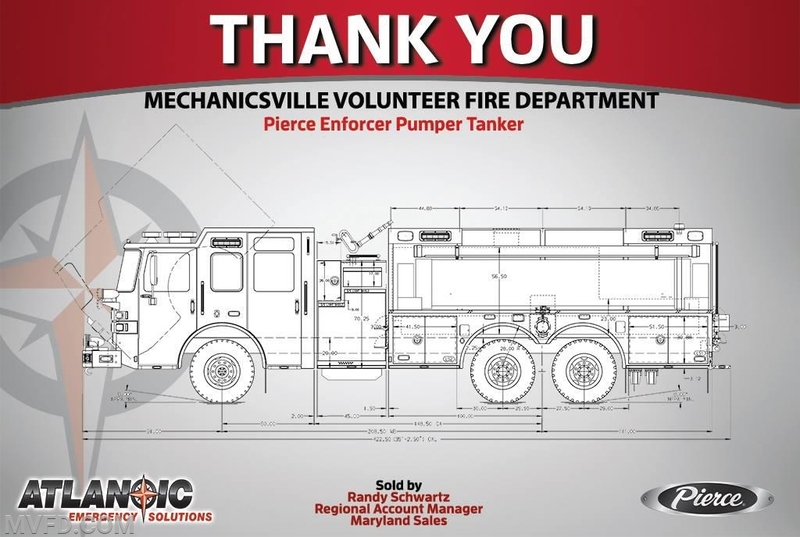 The consistency is also lacking in Charles County since they refer to all fire apparatus with water tanks 2000 gallons or more as Tankers even when they are NFPA 1901 compliant engines. There is a big potential difference in fire ground assignments for a 3000 gallon 2 man crew unit and a 2000+ gallon 6 man crew unit. The good news is the consistency in single digit tanker designations in St. Mary’s. If it is designated as a tanker with a single digit, it is a 3000 gallon tanker with a crew of 2 – Tanker 2, Tanker 4 and Tanker 5.